Welcome to the Journey to Pleasant Prairie series blitz tour, hosted by JustRead Publicit y Tours! Throughout the week, you will see excerpts and spotlights from each ind ividual book, as well as information on the first book in Jan's new Civil-War era series! Hannah Y oder loves her quiet life on the banks of the Conestoga Creek. In 1842, this corner of Lancast er County is settled and peaceful – yet problems lurk beneath the placid façade. Hannah ’ s father worries about the spread of liberal ideas from their Mennonite and Brethren neighbors. And Hannah blames h erself for a tragedy that struck their home nine years ago. She strives to be the one person who can bind the threads of her family together in spite of her mother ’ s ongoing depression and her sister ’ s rejection of their family. But her world is threatening to unravel. When two young men seek her hand in marriage – one offering the home she craves and the other promising the adventure of following God ’ s call west – Hannah must make a choice. Faithfully perform her duties to her family? Or defy her father and abandon her community? Mattie Schrock is no stranger to uprooting her life. Even as her father relocated her family from one Amish c ommunity to the next, she always managed to find a footing in their new homes. Now as the Schrock family plans to move west from Somerset County to a fledgling Amish settlement in Indiana, she lo oks forward to connecting with old friends who will be joining them from another Pennsylvania community – friends like Jacob Yoder, who has always held a special place in her heart. Since Mattie last saw Jacob, they ’ ve both grown into different people with different dreams. Jacob yearns to settle down, but Mattie can ’ t help but dream of what may lie over the western horizon. When a handsome Englisher tempts her to leave the Amish behind to search for adventu re in the West, will her pledge to Jacob be the anchor that holds her secure? Despite growing pains in her 1846 Amish community in Indiana, Naomi Schrock has settled into a comfortable life in her parents ’ home with her adopted son, Davey. Surrounded by family and friends, she tries n ot to think about the fact that she ’ s not at the top of any man ’ s list of potential wives. Yet when Cap Stoltzfus moves into the area and befriends Davey, Naomi finds herself caught between the plans she has made for her future and the tantalizing thought that Cap might be part of a life she n ever dared to hope for. When a couple shows up claiming to be Davey ’ s true family, Naomi and Cap must unite to make the decision that will determine the boy ’ s future as well as their own. How can she relinquish him to these unknown relatives? And can God somehow bring wholeness to her heart? Jan Drexler is giving away a $25 Amazon gift card to one winner! Open internationally, as long as winner can accept egift card from US Amazon. Void where prohibited by law. Enter via the Rafflecopter giveaway below. Giveaway is subject to the policies found here. Enjoying tour; hope to win! thanks! 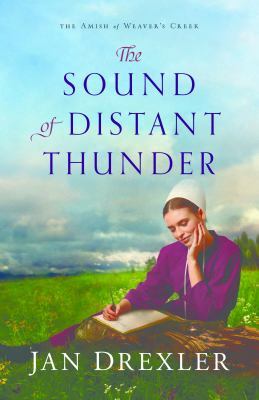 Love the cover and I particularly enjoy historical Amish fiction. I have read the series shown above and enjoyed it very much! Thanks for the giveaway opportunity.